So for a long time I have been meaning to write reviews on events, restaurants, spas etc. that I attend, well I have finally gotten around to it. 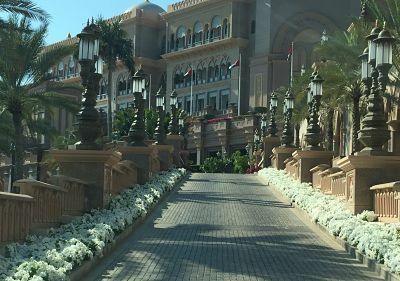 After assisting some clients in vendor searches for their October Al Qasr wedding I was gifted a Royal Afternoon Tea package at The 5* Emirates Palace (owned by Kempinski). Emirates Palace is located in Abu Dhabi at the end of the corniche. Anyone who knows me knows how much I love Afternoon Tea, I have tried a number of the Afternoon Teas in and around Dubai and Abu Dhabi and I have to say this is probably one of my more favourite. 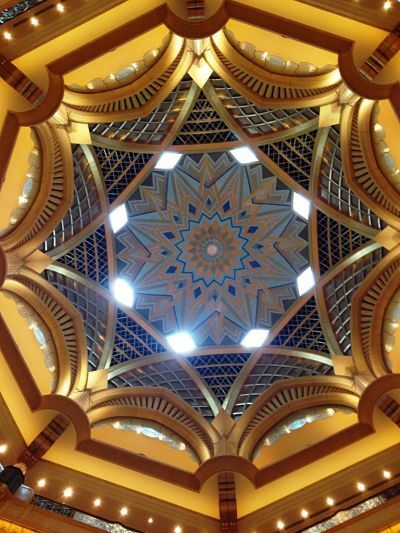 I would recommend Emirates Palace as a stunning wedding location for your destination wedding. The opulence of the venue plus the service is next to none. As a pre wedding option it would make a great girls afternoon out/hen afternoon. 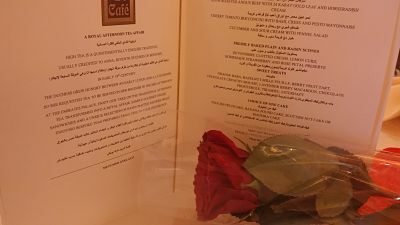 Booking the afternoon tea at Le Café was relatively easy, evidenced by the personalised menus we were offered on arrival. The hotel had added my name to the menu (something I have not seen thus far at any other afternoon tea), it is a small gesture but shows how much detail goes into guests experiences. I actually booked the afternoon tea for Valentine’s Day afternoon. The hotel is not as busy as I thought it would be with it being such a popular tourist attraction. Le Café is on the same floor as the lobby right to the back of the hotel. The café spans over a sparse area of seating giving enough privacy for each couple/group to enjoy the experience. 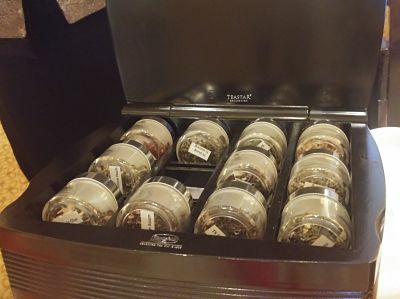 The servers are great at providing options for herbal teas (the choices were very different from the standard flavourings of most establishments I have been to). The scones were straight out of the oven (or so they appeared to be), and tasted divine. The sandwiches some of which were covered in gold leaf were a treat, our favourite being the Crab and Mango in Brioche Mini Loaf. 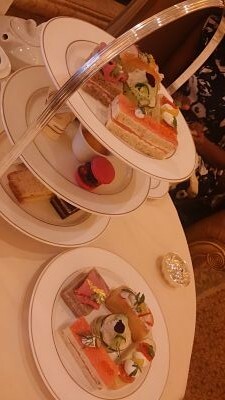 As the Royal Afternoon Tea was unlimited food and teas we actually ended up asking for more of the Crab and Mango Sandwich. The Royal Afternoon Tea can also be purchased with a glass of champagne, we were served Laurent-Perrier Brut, there is also the option of the Rose. The amount of food is so much that we didn’t actually get to sample the chocolate fondants are we were so full. 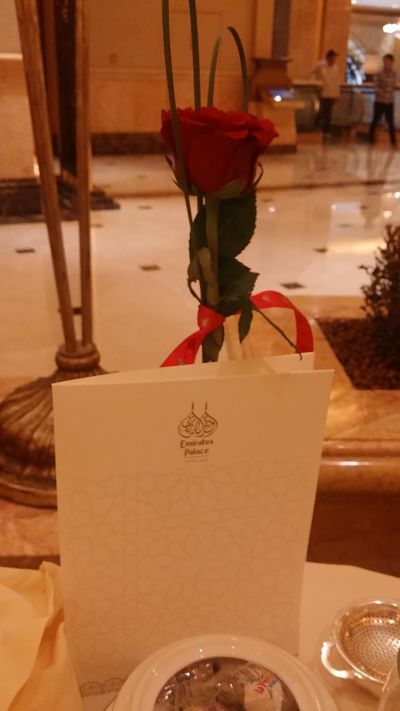 As it was Valentine’s Day each guest was gifted with a rose, which was very thoughtful of the hotel. 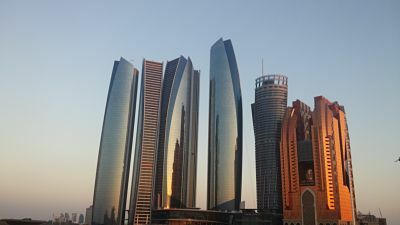 The views in and around the hotel are just stunning, opposite the hotel are The Etihad Towers and the new Bab Al Qasr Hotel (which I believe is still yet to open). In front of the main entrance are a number of fountains and water features, the perfect backdrop for some photos. 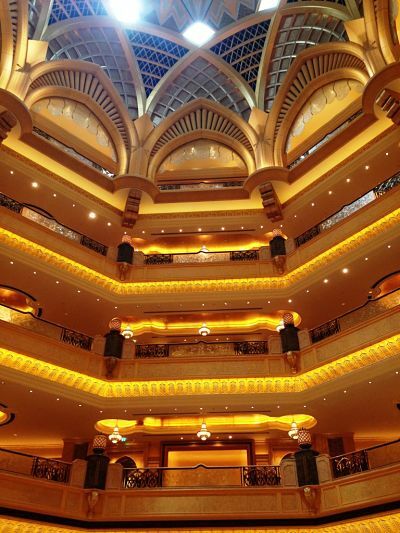 Well done to Emirates Palace for a great afternoon and the 5* service! I would not hesitate to return to the hotel. Packages start at 200 AED for one afternoon tea (however one should suffice for two people). For more information click here. As the only specialised Nigerian wedding planner in Dubai and Abu Dhabi contact us to plan your pre and post wedding events. This article will give a few ideas on group activities.